This week, we recommend six timepieces for college and university students. The beginning of a new year spells different things for different people. But for students, the new year means one thing – the start of a new school term. As we speak, the author is preparing for his new semester in university as well. While school is a great place to socialise and learn new things, but boring lectures and examinations are probably some of the things that many students are not fond of. So how do WIS keep themselves preoccupied during such uninteresting activties? With watches, of course! In this week’s article, we will be recommending six different watches that one may consider wearing to school. They are generally priced reasonably, with interesting or great aesthetics that are worth a second (or maybe, a third) glance. Let’s find out what are the pieces that we have chosen! 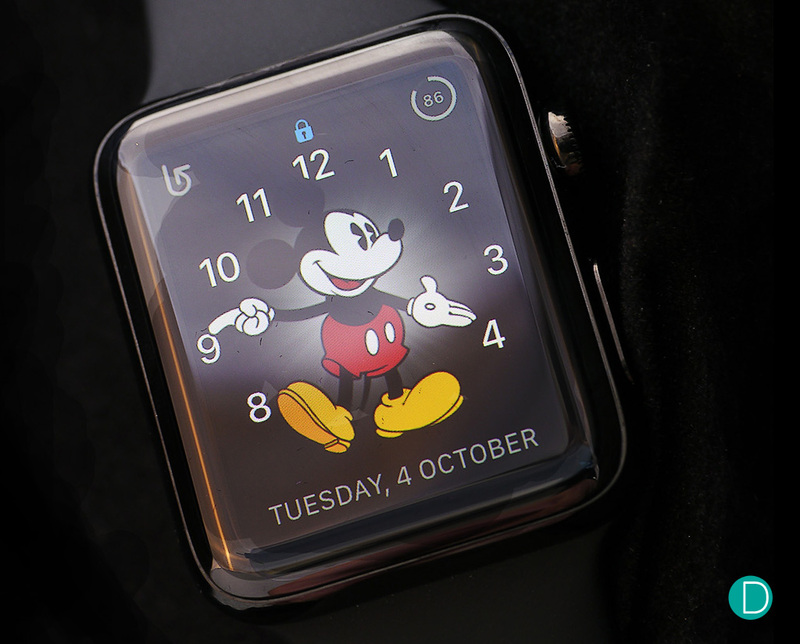 The Apple Watch – for the geeks. For the Apple fans, tech geeks, and hipsters – we have the Apple Watch. The Apple Watch is a functional device, although some of the more traditional collectors still frown upon this product. It boasts several capabilities, such as health tracking applications, communications, and GPS navigation guide. The timepiece looks pretty sleek as well, which adds brownie points for some. This is a device that will keep students preoccupied, especially if the classes are boring. The watch is available in several strap combinations, as well as case materials (aluminium, stainless steel, and ceramic). Prices start at S$269 for the aluminium version. 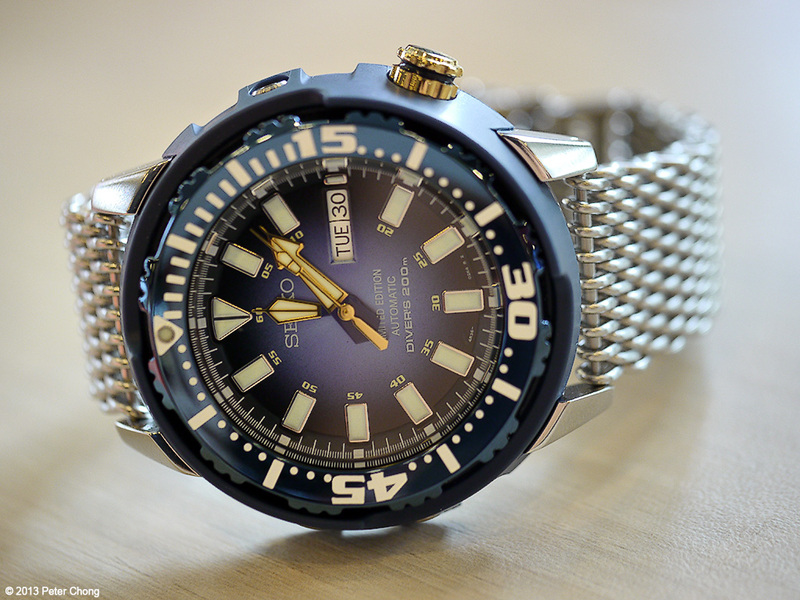 Seiko Baby Tuna, with third party mesh bracelet. Seiko watches are pretty popular with students these days. It is not difficult to see why, considering its reliability and affordable price range. However, when it comes to Seiko watches, there are several popular models that people will tend to go for. These include pieces such as the “Turtle“, or the legendary SKX007/009 Diver’s Watch. But for those who want something different, we have an alternative- the Baby Tuna. This particular model is a discontinued piece, fitted with a third-party mesh bracelet. We absolutely adore the shade of blue that Seiko had used, and the combination with the gold elements is rather attractive as well. The difference in the finishing (such as the bezel and the shroud) works brilliantly as well. Unfortunately, the 42.5mm is no longer in production. However, if one is lucky, there are a few pieces hovering in the used market once in a while. The prices have increased over time though. A few recent examples that we have seen are priced in the region of S$500. But then again, it is a rare piece, and one that definitely stands out amongst the other run-of-the-mill Seiko watches. When it comes to watches that are conversational and cool, you can probably count on SEVENFRIDAY. After all, they focus a lot on “visual complication”, and the V-series doesn’t disappoint on this aspect. The first thing that got us excited about the V-series is its aesthetics. It is rather different from its predecessors, the P and the M-series. The greatest changes are perhaps made on both the case and dial on the timepiece – the brand had done away with the usual rounded square cases, and the new layered dial uses arithmetic to tell time. The latter might not be intuitive at first, but it certainly gets easier with experience. On top of that, SEVENFRIDAY had equipped the watch with new features including a new quick strap change mechanism, as well as the NFC (Near Field Communication) chip that is placed within the watch itself. 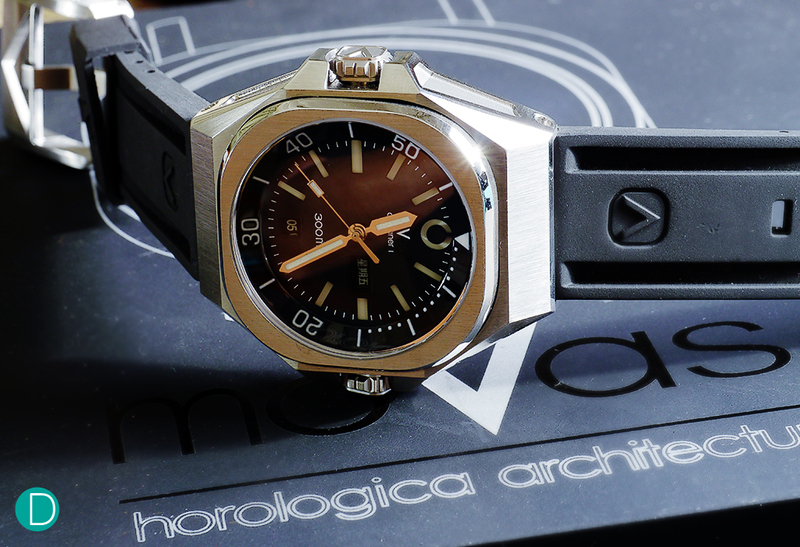 Overall, it is an interesting timepiece, and one that is good looking as well. The V-series retails at S$1,778. The moVas Oceaner 1 – rugged, solid, and massive. There are quite a few local watch brands in Singapore, especially after the rise in crowdfunding sites such as Kickstarter and Indiegogo. Amongst them is moVas, the brainchild of entrepreneur Sean Wai. Over the years, moVas had built a strong reputation amongst watch collectors with its quality and excellent price points. One of our favourite pieces is the Oceaner 1. The Oceaner 1 is a solid diver’s watch, featuring a rather solid and hefty case. There are several highlights for this particular piece, which includes a day indicator in Mandarin, as well as an internal rotating bezel. Notably, the massive 49mm timepiece is powered by Seagull’s Calibre 2100. The automatic movement features both the day and date indicator, as well as a power reserve of approximately 45 hours. In addition, moVas had modified the base movement as well, such as the use of a skeletonized PVD rotor and an antimagnetic balance wheel. The rugged timepiece is priced rather reasonably at S$1,350, and the package comes with an additional set of stainless steel bracelet. 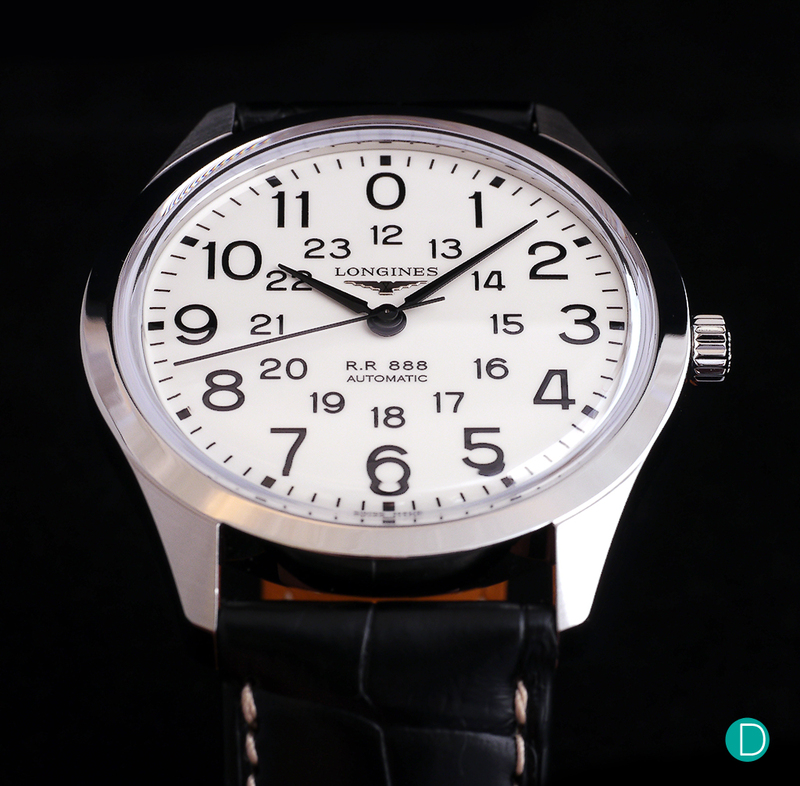 The Longines Railroad – a throwback to the watches of the yesteryears. In the recent years, some of the collectors have started to look at Longines’ offerings. They have produced some rather interesting pieces over the years, especially from its Heritage collection. Last year, Longines launched the Railroad. The watch is a homage to the timepieces that railway workers have used in the 60s. In fact, the remake replicates the original model faithfully, sans a few very subtle changes. We like how Longines had maintained the vintage touches with this piece, such as the use of a domed crystal, Dauphiné hands, as well as the use of “0” instead of “12”. The shape of this 40mm watch is rather nice as well, and we like how they had retained the angular case for this watch. Powered by the Calibre L888.2, the ETA-based automatic movement boasts a decent power reserve of 64 hours. Although we would have love to see Longines using a manual movement for this piece, but we reckon the use of a self-winding movement might be more practical for collectors these days. The watch is priced at S$2,700, and we reckon it might be an excellent piece to reward yourself after pulling in the hours from a winter internship. 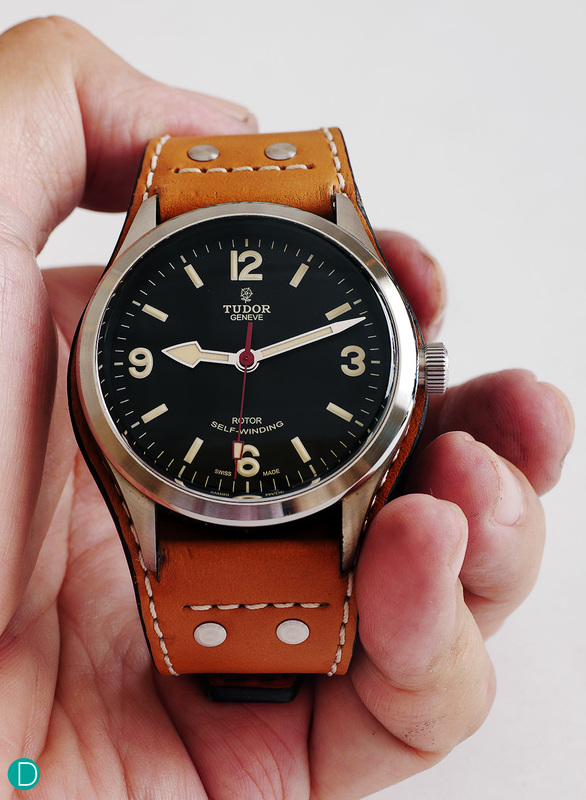 The Tudor Heritage Ranger, fitted with a lovely Bund strap. Over the last few years, both the Pelagos and the Black Bay have been dominating the limelight with its new launches. But lurking in the background is another Tudor watch which we think is worth a mention: the Ranger. The Ranger was launched in Baselworld 2014, as a new model to complement the Heritage collection. It is inspired by the “Explorer” watches which was made famous by Tenzing Norgay during his quest to conquer Mount Everest. The watch is simple – it’s a three-hand timepiece with no complications, nevertheless, we adore the design of the timepiece. We particularly like how Tudor accentuates the vintage theme with the dial layout, as well as the use of cream-coloured almost tropic looking markers. The 41mm timepiece is available with 4 different strap options (bund strap, NATO strap, calf leather strap, and steel bracelet) as well, and each brings out a different characteristic of the timepiece. The ETA 2824 powered timepiece retails at US$2825 (approximately S$4,060) onwards, and we think that this is a decent timepiece that will complement the casual street wear that is popular amongst students these days. Our selection today covers a decent range of watches, with the most expensive piece retailing at S$4,000. Yes, it might be quite a large chunk of money for some. But then again, there might be entrepreneurs or final year students who had completed a well-paying winter internship and they want to reward themselves with something special. Regardless, there are also excellent timepieces that are priced reasonably as well. The Seiko, for instance, is one. In fact, in the author’s university, there are many students who wear some rather excellent Seiko watches to school. The best part? It costs below S$500, with some hitting close to a couple of hundred dollars. So, what are some of the watches that you wear/had worn to school? Please share with us in the comments section below!